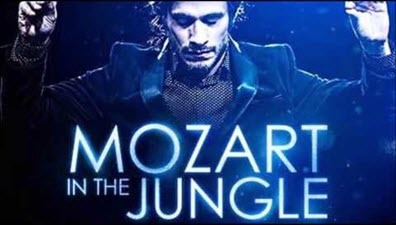 To celebrate their Golden Globe award for Best TV Series, Musical or Comedy for Mozart in the Jungle, Amazon is offering its Amazon Prime membership for $73 for new members only. The $26 savings is valid through 11:59pm PT on Sunday, January 17th. In addition to free 2-day shipping on a wide variety of items, members also enjoy free photo storage with Prime Photos, access to Prime Music and the ability to stream a wide range of TV shows and movies with Prime Video. They can also borrow books through the Kindle Owners’ Lending Library to read on their Kindle or Fire device. For me, Amazon Prime is a bargain at $99/year. For $73, it would be a steal. Alas, Amazon has closed the loophole of being able to gift the discounted rate to yourself and then using it when your subscription is up for renewal. So no bargain rate for me. It is too bad Amazon does not reward its long time, regular prime customers with a “deal.” Loyalty does not seem to matter as long as the customer base increases. Agree 100%. These companies show scant regard for existing customers and are, as you so rightly say, only interested in increasing their use base. Unfortunately, this is a very common practice. Our two major service providers here in Australia – Telstra (for telephony) and Foxtel (for PayTV) – NEVER reward existing customers’ loyalty, but are forever offering NEW customers brilliant deals and discounts. Being an Aussie/Kiwi…Can we stream Amazon Movies in Australia or is it just not possible without some sort of “trick” ? No Colin, we can’t stream Amazon movies in Oz. As far as I am aware, Amazon Video is available only in the US, definitely not in Australia. You would need a VPN or similar connecting through a server in the US. I took advantage of this offer as a new customer. It was all due to this article. So far it seems like a great deal. I just got thru adding my smart tv and some other devices in the house to it. I added my husband as a household member. I even watched a tv episode of a show called “Six Feet Under” Thanks for the article and the heads up Judy.